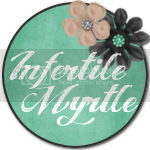 The Infertility Overachievers: What's for Dinner Contest!!! So recently I have been in a bit of a rut in the cooking department. Before I had London, I cooked all the time. I loved it! I would start at about 4pm and take my sweet time preparing every ingredient, garnish, and spice. I would pour a nice glass of white wine, put on some back ground music, and dance around the kitchen as if I was Cameron Diaz in every role she has ever played. By the time the hubs got home from a long day of work, I would be putting the finishing touches on a beautiful meal. It's not nearly as fun anymore. London goes to bed each night at 6:30 or 7:00 and most nights Mike doesn't get home until about that same time. London is a CRAZY man in the kitchen, so it is really hard for me to cook while he is awake. So when ever Mike gets home he helps me with London's night time routine while I try to get some cooking prep done. Then we put the lil man down and I go right back to the kitchen to cook for another 20-45 mins. I HATE it. So here is what I am looking for. I need some quick HEALTHY flavorful meals. Mike doesn't exactly like to eat healthy, but I am really trying to lose weight. It also doesn't help that I am a picky eater. I'm not a HUGE pasta fan but occasionally it's ok. So here is your mission, should you choose to accept it. GIVE ME YOUR RECIPES!!! I will try all of them and the one that Mike and I BOTH like will win.What will you when you ask? Good Question! You will win one of my favorite kitchen gadgets. These SleekStor collapsible silicone measuring cups and spoons. 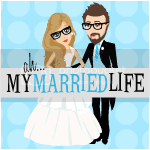 I love them, and hopefully you will too!! Deadline to send me your recipe is next Thursday (4/22/10). I am going to start cooking these as they come in so hopefully I will have a winner in a few weeks. Crockpot recipes are also welcome. We drank it with white wine and it was great! The ingredients and method are simple but it's light and flavorful. I'll have to ask for recipes on my blog at some point as well! http://thepioneerwoman.com/tasty-kitchen/recipes/main-courses/shredded-chicken-tacos/ - so good and so easy! I stole this recipe, but I love it b/c it's easy. Put pie crust in pie pan, combine rest of ingredients in a bowl, then dump in crust. Cut slits in the top crust, then bake for about 30 minutes on 325ish. I totally hear ya! This is how I feel. I used to LOVE to cook! I just made a super easy recipe tonight. Over bbq chicken and sweet potatoes. Heat the oven to 425. Put in Sweet pot. After 30 minutes put some chicken breasts in a 13X9 glass baking dish. Brush it with bbq sauce on both sides. And put it in the oven with the potatoes for another 30 minutes. And you're DONE! I know how you feel!!!!! It is hard to cook with a little one running around. I always try to have dinner around 5:30-6 and have it all ready when Dustin gets home from work so it MUST be easy! We eat a lot of baked chicken, spaghetti, tacos, roast (crock pot), and occasionally I will even fall back on hamburger helper. Yikes! I am VERY picky (don't eat pork, fish, and most veggies) and then I want to make sure what I make is at least semi-healthy since Grace is eating it to. Cook up some white rice. While that is cooking take a cube steak and cut it into bite-sized pieces. Add a little olive oil to a large skillet and saute a bell pepper (I use green) and onion (I leave this out because I don't like it but it makes more flavorful). Add the steak pieces. As it cooks mix 2 packages of brown gravy with 2 cups of water (Or you could make your own gravy -this is just easier). When the steak is cooked, turn down the heat and pour the gravy over it all. Let it simmer until the gravy just starts to boil. Serve over the rice. Sometimes I will even throw in some other seasons - onion powder, garlic powder, red pepper is also good. I am hoping to get some ideas from here! 2 apples, quartered and sliced. You want something like a Jonathon here that will keep some of it's shape. Caraway, Fennel, Thyme, Ground Ginger (To taste. Roughly 1/2 tsp each.) Salt and Pepper. Start off by marninating the chops for 15 mins - 2 hours in enough mustard to thinly coat. In an oven proof saute pan, brown the chops on top and bottom. Take them out and let them rest on a plate. Add in the onions and apples and maybe 2T of butter if you need it. You shouldn't though b/c the pork chops will have lost some of their fat. (If you are like me and keep a little stash of bacon drippings, this a good time to use that instead of butter.) Saute just until the onions start to wilt down. Add in the seasonings now and mix until well distributed. Depending on how sweet the apples were or how strong the onions were, you might want to add 1 Tablespoon of honey here. Add the chops back to the pan. If they were thin chops, you might be able to finish them off on the stove. If they were thick chops, pop it into the oven for about 20 minutes or until done. Simmer for at least half an hour. This is better the second day. Serve with cheese, sour cream, diced scallions and crushed tortilla chips. 1) In 1 qt saucepan, heat oil over medium heat. 2) Saute green onions until tender and lightly browned (about 5 minutes. 3) Stir in brown sugar, soy sauce, sherry, cornstarch, and ginger. Cook over medium heat until mixture starts to boil and thicken. Cook for one additional minute at boil stirring constantly. 4) Place chicken wings flat in baking dish and pour sauce over chicken. Chef's notes: I doubled the sauce recipe just because I knew how good it was and I knew I could use the left over sauce on rice. Also, I substituted regular onions diced small for the green onions and red wine for the sherry because that is what I had. It is WONDERFUL. A shout-out of thanks to the Apex 911 employee who supplied me with this recipe. This chutney can be made with fresh fruit too. I used the canned stuff because it was winter and that was all that was available. Serve it with about 2 lbs of the meat of your choice. I've done it with both thin sliced beef and with ground beef. Then I serve it all over rice. sticking. Remove from heat and cool completely before serving.